Valentine’s Day is the day of love. It’s a day to show your significant other just how much you care about them—and what better way to show your love, care, and gratitude than with a home-cooked meal? 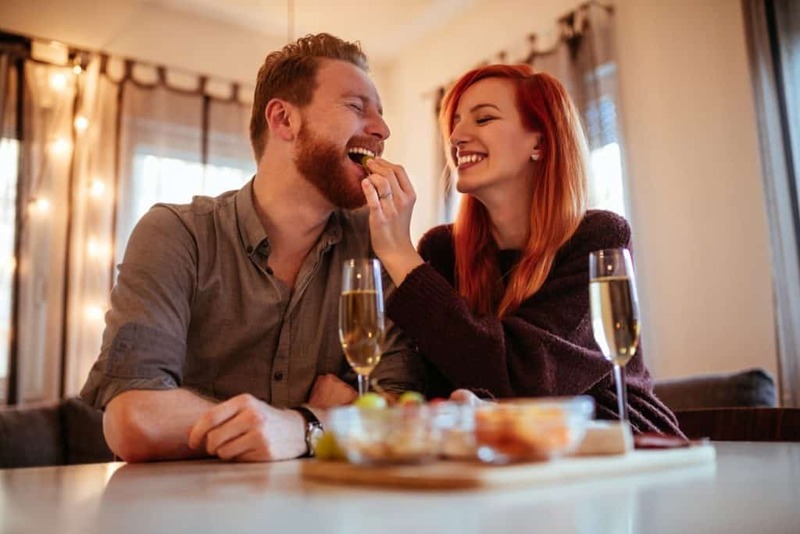 While other couples are scrambling to make reservations, you can make a delicious meal at home, saving you time, money, and plenty of frustration. Keep reading for 8 recipes that ensure you can celebrate Valentine’s Day with a full stomach! Who wouldn’t be impressed with the combination of vodka, cream, and crushed tomatoes? This Vodka Cream Pasta is sure to win your way into your lover’s heart and stomach! On its own, this pasta is quite tasty, but you can make it an even heartier dish by adding a pound of chicken breast. Pair with a Chianti wine for a complete meal. There’s nothing better than a good steak dinner. Check out this Steakhouse Sheet Pan Dinner that’s perfectly portioned for two. The recipe includes a classic surf and turf (shrimp and NY strip steaks) along with creamed spinach and au gratin potatoes. If you’re looking for a lighter Valentine’s Day meal that will leave you both full without the carb-drain, you’ll love this recipe for Beef Tenderloin with Roasted Cauliflower-Pomegranate Salad. Serve juicy beef tenderloin with a tangy cauliflower-pomegranate salad that’s tangy and bright. Add a little spice to your Valentine’s Day meal by cooking up Roasted Shrimp & Peppers with Creamy Rice. The recipe calls for simple ingredients such as shrimp, dry white wine, olive oil, arborio rice, and red peppers. A delicious dinner prepped and ready in less than an hour! Italian meals are always made with love. This Red Wine Beef Ragu recipe is sure to impress your lover. Made with crushed tomatoes, red wine, and beef, you can serve this decadent combination over wide noodles, such as pappardelle or farfalle. Who says chicken has to be dry, boring, and tasteless? This recipe for Spinach and Goat Cheese Stuffed Chicken Breast with Roasted Asparagus is anything but! All you need are chicken breasts, goat cheese, spinach, asparagus, cream, and butter. With the drizzle of an herbed cream sauce, you can ensure your date’s taste buds will be quite happy. A Valentine’s Day meal isn’t complete without dessert. These heart-shaped s’more cookies only require three ingredients and take less than 10 minutes to make! These cookies are the perfect sweet treat after a delicious meal. Put a twist on classic chocolate-covered strawberries with this recipe for Chocolate-Covered Strawberry Fudge. All you need are strawberries, vanilla frosting, and chocolate chips to make this sweet fruit-packed dessert. Before serving one of these delicious dinner recipes, make sure that you’ve taken the time to properly decorate your apartment. Red roses are always a winner, though you can also decorate with red, pink, and heart-shaped balloons. Don’t forget to dim the lights and to have plenty of candles lit to set a truly romantic mood. We have a wide range of luxury apartments for rent. 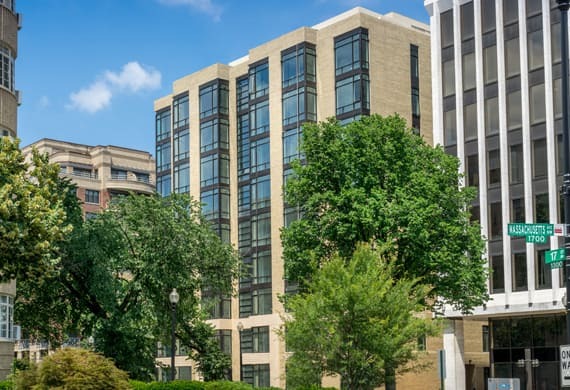 If you’re looking for a Dupont Circle apartment that’s convenient for walking and traversing DC, look no further than Keener Management. We’re sure to have an apartment that fits your lifestyle needs and budget. Make this Valentine’s Day one you spend at an apartment you love! No matter if you’re moving to DC or already live in the area, you can count on us to find your next home. Contact us today to learn about our availability.